For me, it just isn't Christmas without some specific things. First you need to have a Christmas tree and Christmas decorations around the house - and don't even think about doing that without listening to Christmas Carols. At night, the Christmas lights outside light up and everyone bundles into the car to check out everyone elses. As Christmas approaches, the recipe book comes out and we start getting ready for a Christmas feast. The Steamed Christmas Pudding is made, the ham is ordered and the Christmas Cookie cutters are brought out once again. 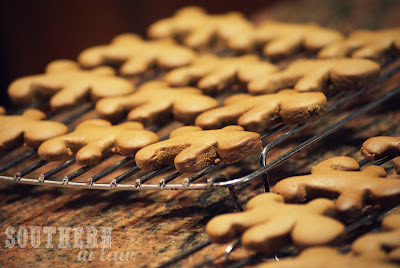 Gingerbread Cookies and Shortbread are the two Christmas cookies that have to be made every year at my house. What I came up with was a ridiculously delicious Gingerbread recipe that is surprisingly healthier! When I gave these to my family no one had any idea that they were healthier (first rule with healthier baking for people: don't tell them straight out!) and were shocked once I told them. These are a must bake this holiday season - so let's get on with the recipe! 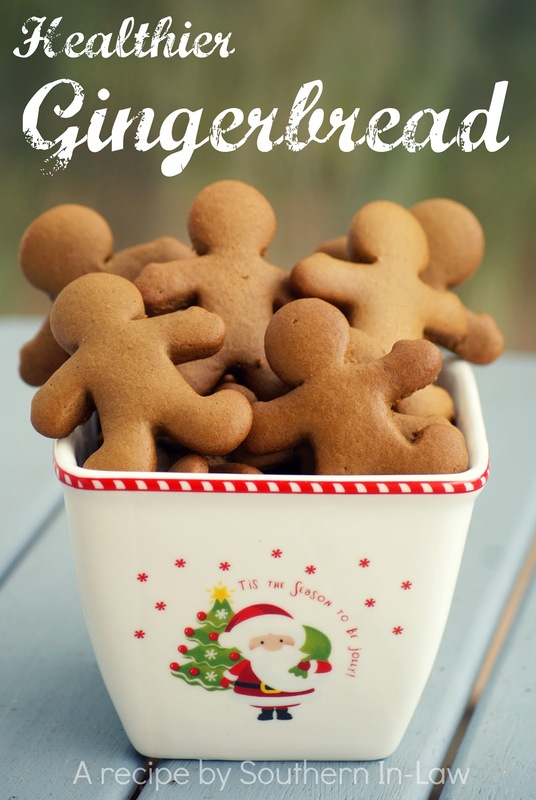 Low Fat Gingerbread - makes about 4 dozen cookies, depending on size. These cookies are low fat and can also be gluten free! In a mixer, beat the butter and sugar until combined. Add the applesauce and mix until smooth. Mix in the egg and molasses and beat until combined. Add the flour, baking soda and spices to the mixer and mix slowly until the mixture is wet - mix on medium until a dough forms. Divide the dough into two flat discs in between baking paper - chill in the refridgerator for ~2 hours or place into the freezer for around half an hour. On a chopping board or benchtop, lay down some baking paper. Take out one of the dough portions and place onto the baking paper. With a sheet of baking paper on top of the dough, use a rolling pin to roll out the dough to around 1/2 a centimetre thickness (about 1/4"). 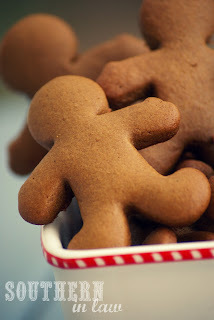 Cut gingerbread into shapes and place onto baking sheet about 1 inch or so apart. Bake for around 10-15 minutes, depending on the thickness of your cookies and whether you like them soft or crunchier. So tell me - what holiday foods are on your must have list? Um yum! I need to make these stat. I love gingerbread!! And healthier? Ugh sign me up! Hmm must have holiday foods? Mum's Christmas truffles, which this year I've successfully redone to be just as delicious but way healthier than hers hha! They are very good - and they disappeared in a blink of an eye. Someone got to them in the middle of the night and we woke to find 3 sad gingerbread left in the container. Who cares if it's past christmas! 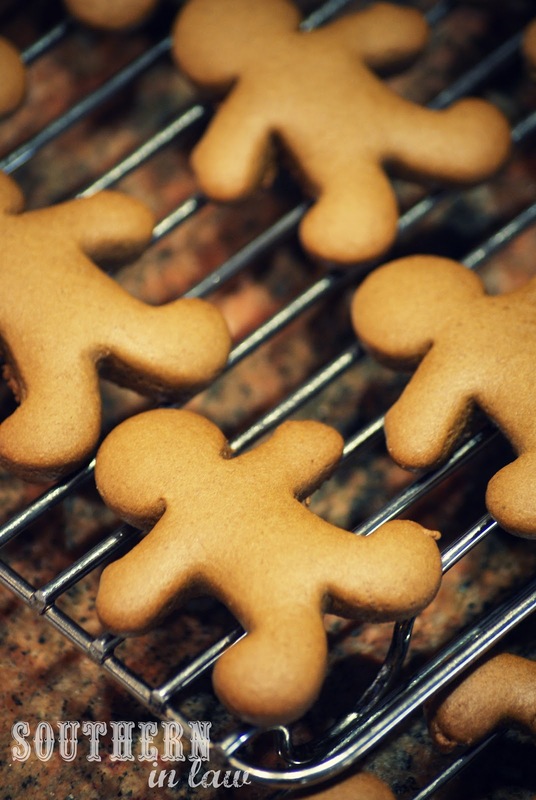 it's never to laste for gingerbread men! I'd like to try this recipe soon! Great healthy point you have shared to get healthy fat naturally. Thanks for your healthy support on this issue. What is 'mixed spice'? Thanks!